Improve your understanding of phrasal verbs in English. 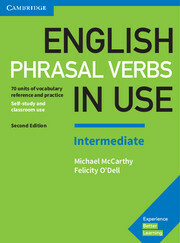 Explanations and practice of approximately 1,000 phrasal verbs, written for intermediate-level (B1 to B2) learners of English. Perfect for both self-study and classroom activities.